We've got a wide range of sanding and grinding accessories in formats and materials to help you cut, grind, clean and achieve the finish you want. We offer a high-quality range of brushes, sheets, belts discs, wheels and more for use with sanders and grinders. Try the RS Pro range of products for the quality of a company with over 80 years of experience in abrasives and engineering materials. 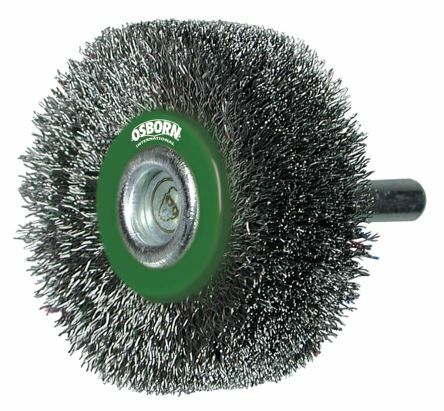 Abrasive brushes - typically used for cleaning and removing burrs. 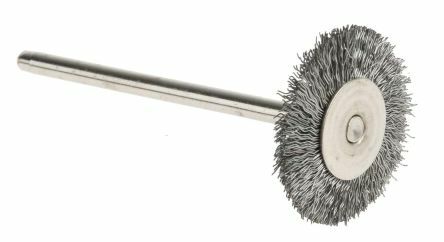 Available in a range of materials, grain sizes and brush types including circular, cup and abrasive end brushes. Sanding belts - designed for use with fixed or handheld belt sanders. Various grit materials and grit grades can be selected depending on the material and abrasion level required. Sanding discs - sanding paper for use with power tools such as an orbital or detail sander. Common uses include smoothing or polishing surfaces and preparing materials before applying paint. Sanding discs are usually available with either self-adhesive or hook and loop backing. They are available with different grits, types and sizes. Grinders are abrasive cutting power tools that can be used to remove and cut materials such as metal and stone. There are various types of grinding machines available, such as an angle grinder or bench grinder which carry out slightly different actions and use particular grinding wheels to be able to do so. Cutting discs - designed to specifically cut metal and stone objects, they're available for either wet or dry use. Some have a specialist diamond coating for extended performance. Grinding discs - wheels designed to grind and shape materials such as stone or metal. They differ in design slightly so it is best to check it is compatible with the material you will be using it with. 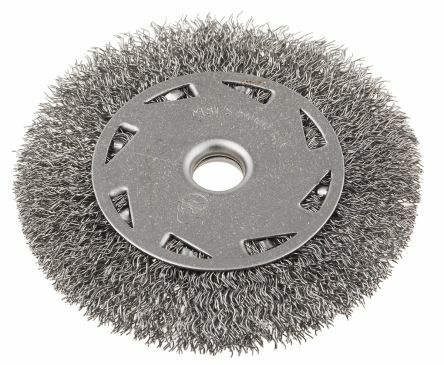 Flap discs - can be used with angle grinders for polishing and cleaning applications. Flap wheels - can be used with multi-tool devices for polishing or cleaning materials. 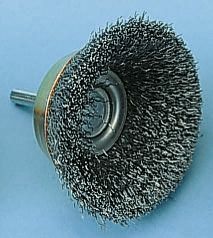 Wire circular brush for use in power tools. Perfect for cleaning welds or removing burr from steel enclosures or fittings. 6mm diameter shaftIdeal for cleaning or finishing hard to reach areas or internal surfaces.